Here’s an exquisitely crafted collection that belongs in every music lover’s treasure trove. Soprano Susanna Phillips opens the delectable set with an impassioned rendering of Claude Debussy’s Ariettes Oubliées. Pianist Myra Huang is the ideal partner and musical confidante: their shared vision is evident throughout. At the centre of the six “forgotten” gems is Chevaux de Bois: it’s a marvel of colour and characterization. 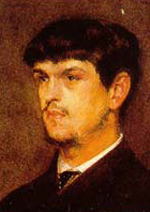 Phillips’ slightly nasal “hautbois” defines word-painting; there’s no doubt the “rogue” lives up to poet Paul Verlaine’s billing and the frequent turns are dispatched with saucy brilliance or reflective solace as required. Huang keeps the carousel whirling relentlessly then delivers a thoughtful adieu that artfully vanishes into the twilight. 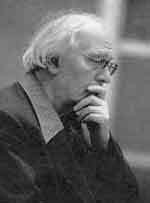 Olivier Messiaen’s contribution is a wonderfully constructed set of songs, prayers and declamations that combine to proclaim his strong faith and resolute—if curious in the 21st century—belief that “The wife is the extension of the husband … / Just as the Church is the extension of Christ”—perhaps “embodiment” might be a closer translation to “prolongement” from the texts, which were also penned by the composer. 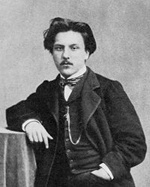 Appropriately bookended by predominantly chants (the opening piano soundscape of “Action de Grâces” fits the transition from Debussy to a tee; the unbridled joy that closes “Prière Exaucée” is palatable no matter what your faith; employing the piano to literally bring ecstasy from the heavens back down to Earth is the perfect reinforcement of the plea to heal a soul—effectively a rare unison when uttered), the work becomes a master class of balance and economy. “Terror” features a devil whose laugh runs the gamut of stark evil through melissmatic mockery; the balm to this horrific wound comes in the form of “The Wife,” where the calming effect appears just in time. Phillips displays her own considerable mastery of quiet control in “Ta Voix” while Huang is the model of discretion as the gradual dénouement of what the necklace really consists of in “Le Collier” unfolds. It’s hard to imagine a more convincing interpretation than from these more than able artists.